Oman Gas Company (OGC), Oman’s gas transportation company, continues on its rapid growth path to power the rising demands of industry, desalination plants and domestic consumers. The ongoing projects that will enable it to do so include the Salalah LPG project, NGL Projects and gas supply to Duqm, Oman Gas Company. With a view to attracting industries and other investments to Duqm, OGC has been tasked by the government to execute the project for supplying gas to the Special Economic Zone (SEZ). Natural gas will be pumped from Saih Nihayda in central Oman to the Duqm Gas Supply Station (GSS) via a new 221-km 36-inch pipeline. The GSS will be initially equipped with four separation trains with a total capacity of 15 mmscmd, expandable to 25 mmscmd in the future, Al Mujaibi tells OGN. OGC has also set a plan to construct a world-class gas processing facility at Salalah Free Zone and plant storages at the Port of Salalah. The new liquefied petroleum gas plant will be designed based on state-of-the-art technology and strict HSE principles, which allows reaching 98 per cent propane recoveries and 100 per cent recovery of butanes and condensates, thus making for a safer environment. Through the Salalah LPG extraction project OGC’s main objective is to maximise revenues to the government by extracting commercially valuable ingredients from natural gas before it reaches consumers downstream, the acting CEO adds. The project will serve as an opportunity for the nation to expand its energy sources, boost downstream supply and promote the petrochemical industry location in-country as well as maximise the revenues from the gas chain. The Salalah LPG project will maximise revenues to the government by extracting commercially valuable ingredients from natural gas before it reaches consumers downstream. Promoting in-country value in the gas sector, the project will provide employment opportunities for approximately 1,000 people during the construction phase itself, with at least 30 per cent of the jobs being exclusive to Omanis. OGC delivers natural gas to the vibrant economic sectors and major consumers comprising the power and desalination plants, aluminium smelters, downstream metal, fertiliser and methanol plants, refineries, industrial estates, steel and cement factories and oil companies. OGC, which aims to become a world-class midstream gas value chain company in Oman, was established in 2000 by a Royal Decree No 78/2000 that has granted the company concession rights to own, construct, maintain and operate natural gas facilities in the Sultanate of Oman. 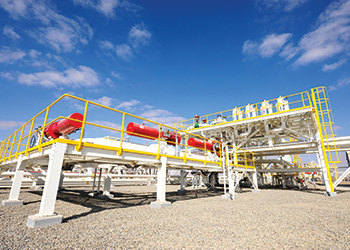 Since its inception, OGC has grown in stature and reputation into an integrated enterprise harnessing the power of Oman’s natural gas transportation. The company employs more than 390 people, of whom 93 per cent are Omanis. 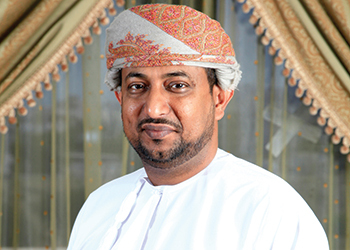 'At OGC, we take pride in our Omanisation drive having achieved this milestone which put us at the forefront within the oil and gas industry,' he says. In addition to the head office, OGC has five regional operation offices in Muscat, Sohar, Fahud, Nimr and Salalah and operates in Sur area. In future, OGC will operate in Duqm Area through gas supply facilities that will be commissioned by 2018. OGC is also responsible for the operational import of the Qatari Dolphin Gas via UAE. OGC’s gas pipeline network is spread across the country with more than 2,500 kilometres of high pressure transmission pipelines and ancillary facilities covering Fahud, Muscat, Sohar, Saih Rawl, and Salalah, and is receiving gas from PDO, PTTEP, Oxy, OOCEP and Dolphin Energy. The company’s clientele base has reached more than 37 customers in the power, industrial and oil operation sectors. OGC operates three pipeline compressor stations in Fahud, Al Buraimi and Nimr. 'Our mission is to maximise country’s value by developing and operating oil and gas facilities to international standards through innovation, efficiency and development of local talent,' he says. Moreover, OGC launched a pipeline awareness campaign that aims at highlighting the potential dangers of the sultanate’s oil and gas pipelines and the need to respect the restricted areas around them. The company also sponsored science workshops at schools. Involving children in OGC’s community programmes is part of its investment in the human resources of the Oman. Having better educated, better qualified school graduates in Oman is in the company’s interest as an employer. OGC is committed to building a skilled Omani workforce with useful qualifications that will meet the requirements of the Omani job market by offering good training and competency to its employees as well as hosting students from different local academic institutes and universities for internship. 'Every year, we receive more than 40 students for internship from different disciplines,' Al Mujaibi concludes. The track record of OGC in QHSE is impeccable to say the least. During 2014, the company achieved 6,819,441 safe man-hours of work or 1,328 continuous days without lost time injury. The company vehicles also safely drove 3,418,994 kilometres throughout its operations. Human Resources is the key for the progress of any company, and OGC has developed and retained a highly talented team of employees. It has done so by identifying competency gaps with more emphasis towards technical disciplines and some softer skills required to have a better working environment. The company has over the years geared itself towards on-the-job training, vendor training, in-house training as well as providing development courses both locally and abroad. OGC also embarks on providing educational assistance to employees every calendar year, to encourage them to enroll for higher studies. The scheme allows employees to further their academic studies and enhance their educational qualifications. As far as Omanisation is concerned, OGC has an excellent track record. The Omanisation level achieved in the company is placed at 93 per cent. • Developed contracting and procurement procedures to facilitate award of contracts to small and medium scale companies (SMEs) on more suitable terms and conditions.